A solid laptop stand mounted on one of the sides of the Console PRO. It has side latches that provide stability. Thanks to the wide adjustment possibilities you can set the laptop in an easily accessible position. The laptop stand can also be used as a stand for the controller. 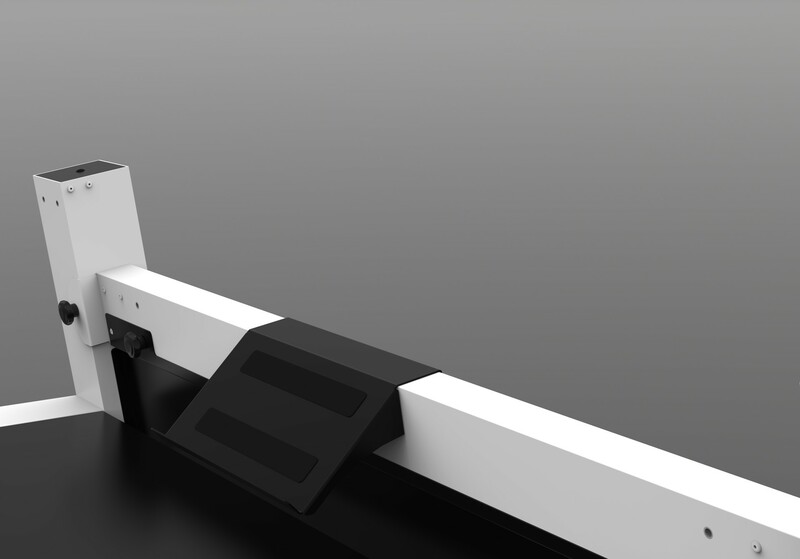 A laptop stand that can be placed anywhere on the beam of the Console PRO. It is extremely stable, so your laptop will be securely placed in a place that is convenient for you. PRO Laptop Stand 2 is also suitable as a stand for the controller (Like Ableton PUSH, NI MASCHINE, Pioneer DDJ-SP1 and many more). Thanks to a solid construction the device placed on it will stay very secure, regardless of the conditions. Stand for a small controller or tablet / smartphone. 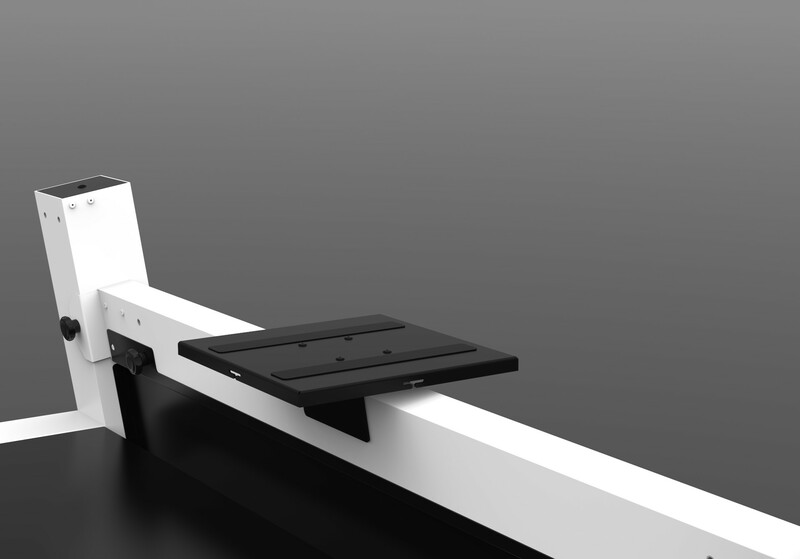 PAD 01 is can be placed anywhere on the upper beam of the Console PRO. Access to the device placed on it will be extremely simple and intuitive. Additional stand for the monitor, mounted anywhere on the upper beam of the Console PRO. VESA TV Mount. 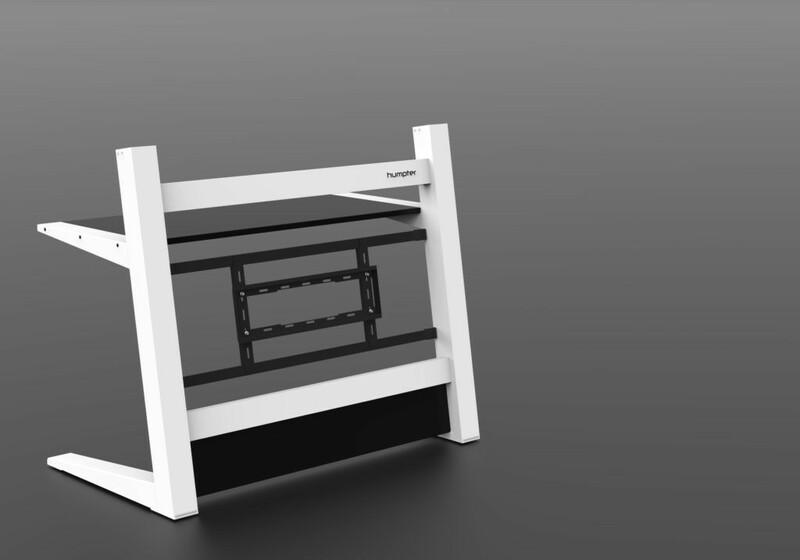 Thanks to this accessory you will be able to mount a TV set (up to 70 “) on the Console PRO front, which will significantly improve the aesthetic value of your workstation. A pair of shelves for monitors or movable heads, mounted on top of Console PRO. 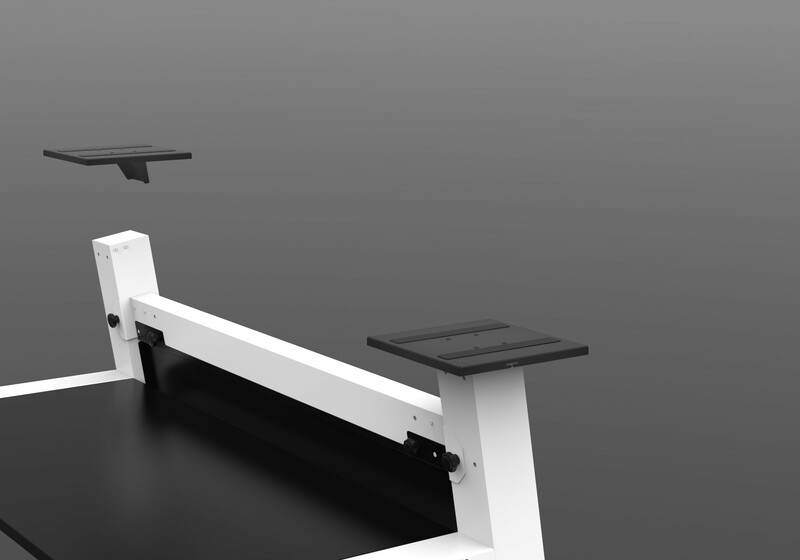 Easy assembly and stable construction will significantly shorten the time needed to set up a DJ workstation. The lower platef or Console PRO will help you elegantly and subtly mask the wiring necessary to connect your musical equipment.